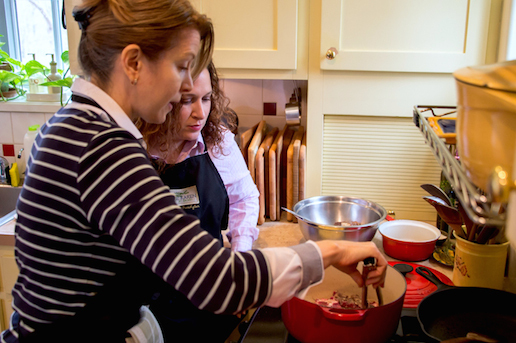 Chef & Culinary Instructor Karen Gros offers cooking classes in her Provençal-style home in Eureka Springs, Arkansas. Two types of classes are offered each month: Culinary Demonstrations and Hands-On Classes. Karen emphasizes seasonal dishes “from scratch” with locally grown and raised ingredients, as well as traditional French classics. Karen has been teaching cooking classes since 2004. Once the dishes have been prepared, a tasting lunch is served with fresh salad greens, homemade vinaigrette, and freshly baked bread. 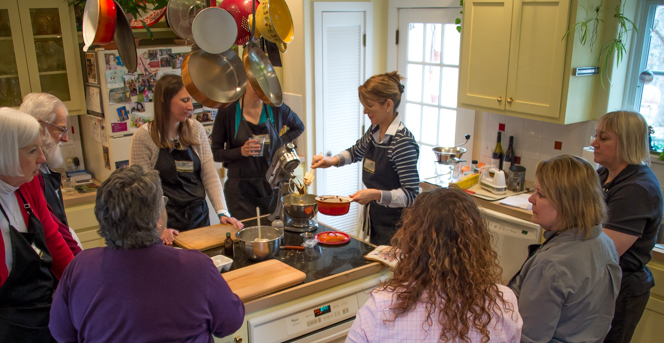 In addition to regularly scheduled cooking classes, private classes are available for groups of friends or family. 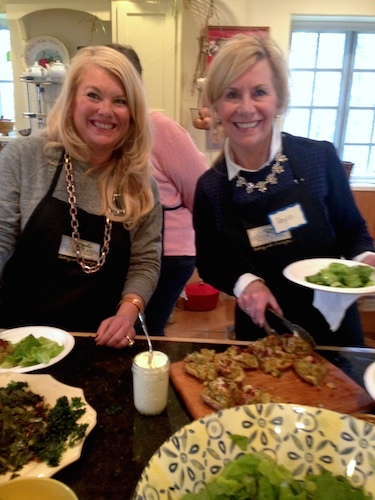 Chef Karen is also available as a personal chef for your private dinner party ~ in your home or hers.